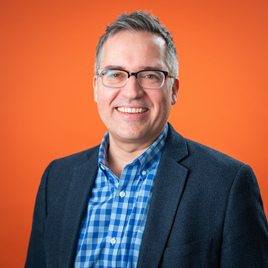 John Lauer is the CEO of Zipwhip, a Seattle based businesses that enables businesses to text message their customers through software and API solutions. Zipwhip is one of Seattle's fastest growing private companies and was the first business that made it possible for landlines and cellphones to communicate with each other. Prior to Zipwhip, John was already neck deep in entrepreneurship. John started coming up with business ideas ever since he was thirteen. John started his first company, Rootlevel, at the age of 21 - Rootlevel was a web design firm based in Detroit and had included GM and Ford as their clients. John dropped out of college one semester from finishing his computer science degree because he made a commitment early on to never do something that would require a resume. In today's episode, we talk about John's storied history and start in entrepreneurship, we talk about the makings of Zipwhip and the state of texting, and we talk about the focus and people that it takes to start a business. If you contribute to humanity, humanity rewards you back, which gives you more ability to contribute. It sort of pancake layers on top of itself.